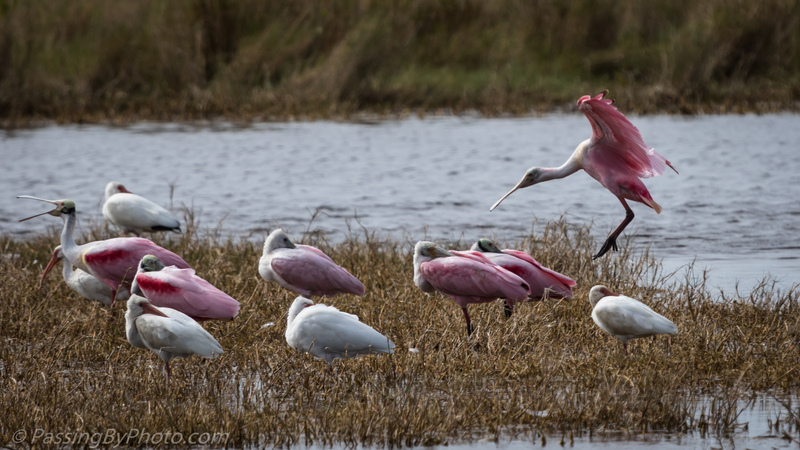 I saw a lot of Roseate Spoonbills the first three days of my Florida trip in January but at a distance, behind low scrub and/or in low light. 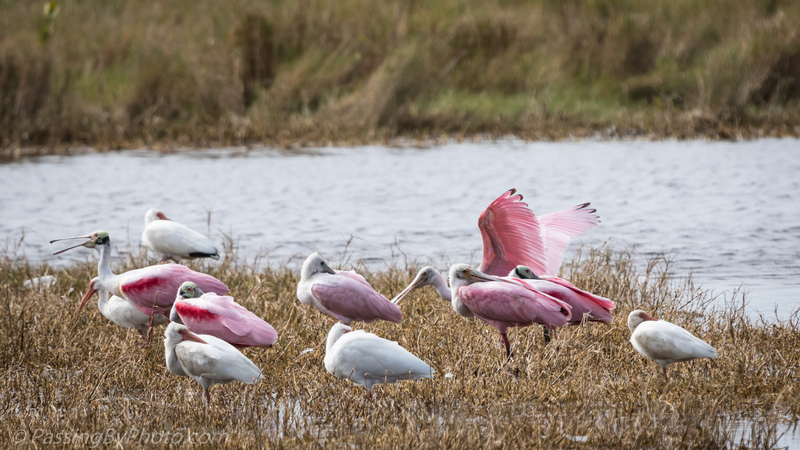 Finally on the third afternoon we came upon a flock of mixed wading birds in a marsh that was close enough to the road for clear photographs. The flock was working from our right to the left, both wading and taking short flying hops. 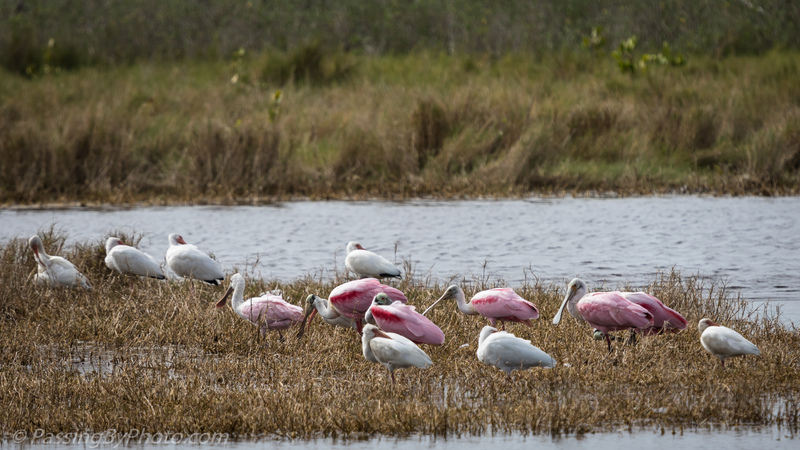 The Ibis and Spoonbills seem quite content to hang out together. 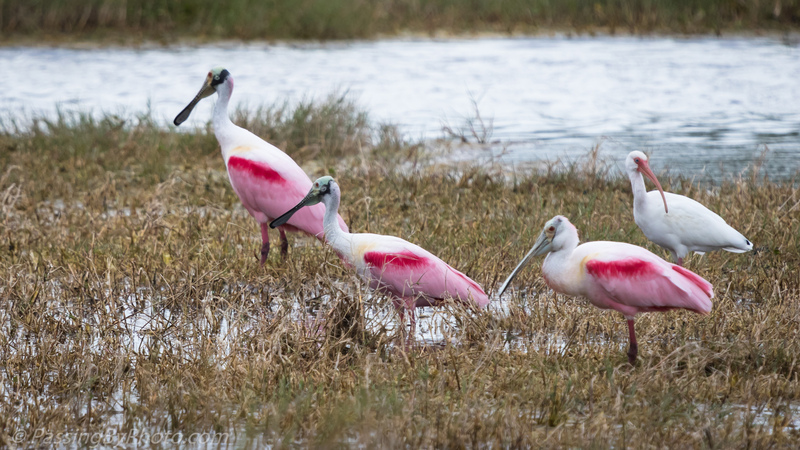 This Roseate Spoonbill trio really show off the darker pink band on their wings, a contrast with the White Ibis that has just a hint of black on his wing tips.